This is the ghostly photograph in a graveyard shows a shadow or ghost of a monk. It is not known exactly how the shadow monk appeared in the ghost photo. 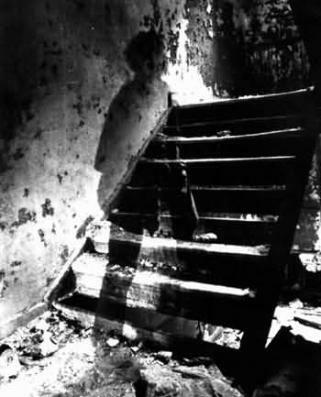 After research, we found the monk ghost photo was taken in 1990 by Derek Stafford who visited St. Mary's Church in Prestbury, Gloucestershire. He was apparently taking photos of back-lit gravestones when the anomaly was unknowingly recorded in one of his pictures. Locals believe it is the legendary "Black Abbot" ghost that walks the churchyard at night. This spectral image Taken in 1919, show the ghost photo of a RAF squadron from World War One has an extra ghostly face in the picture. It is suposed to be Freddy Jackson, an air mechanic who had been accidentally killed by an airplane propellor two days before the pic was taken. His funeral took place on the day the photograph was shot. Members of his air squadron recognized his face with ease and believe he must have showed up for the haunted picture, unaware he had passed. 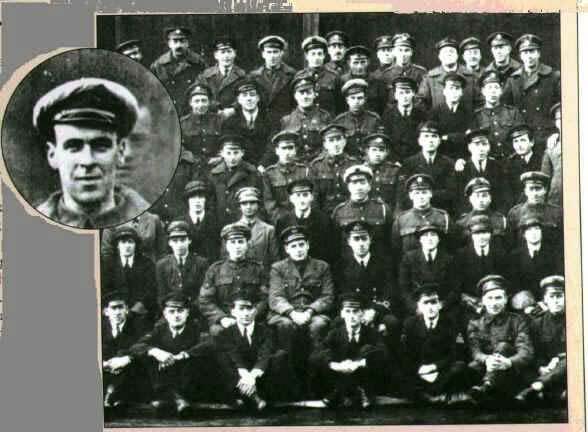 Freddy's ghostly apparition appears behind the airman in the top row, fourth from the left.